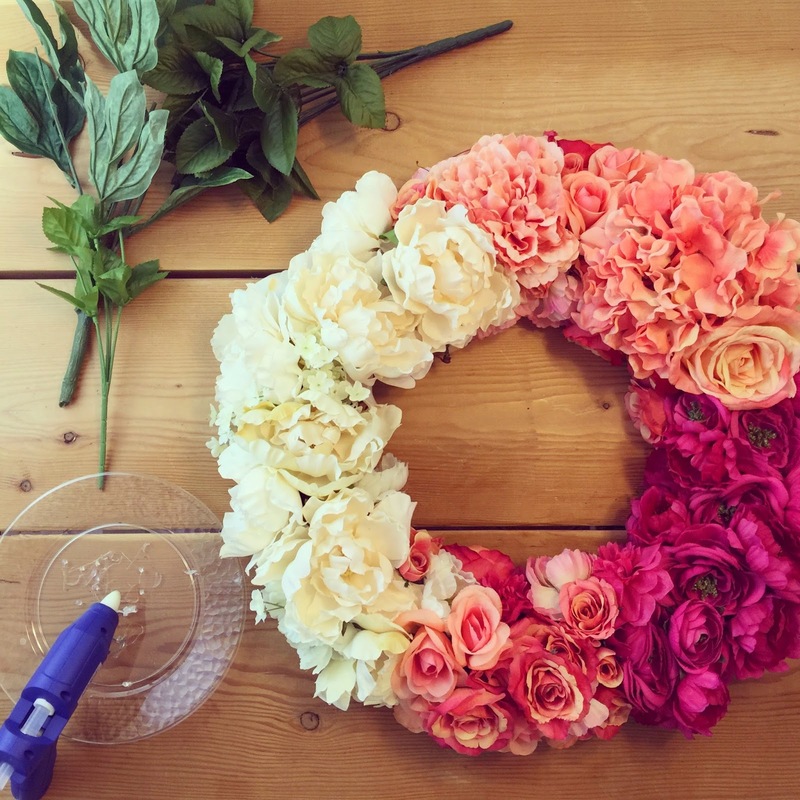 Lisa loves John: DIY Ombre Flower Wreath! I LOVE this! 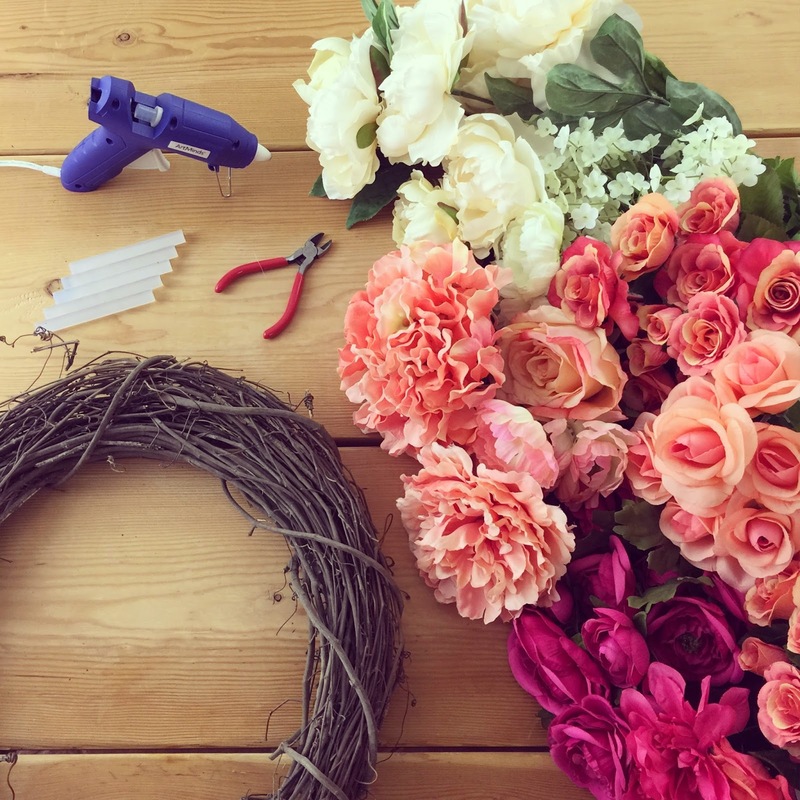 I pinned this DIY asap and can't wait to make my own. Thanks for sharing! Absolutely in love with this! So pretty and fun for spring. I wish I was as crafty as you!! GIRL. Please move to Texas, buy the house down the street and teach me your ways (and be my friend). This looks AWESOME! Pretty!!! This is such a great idea. 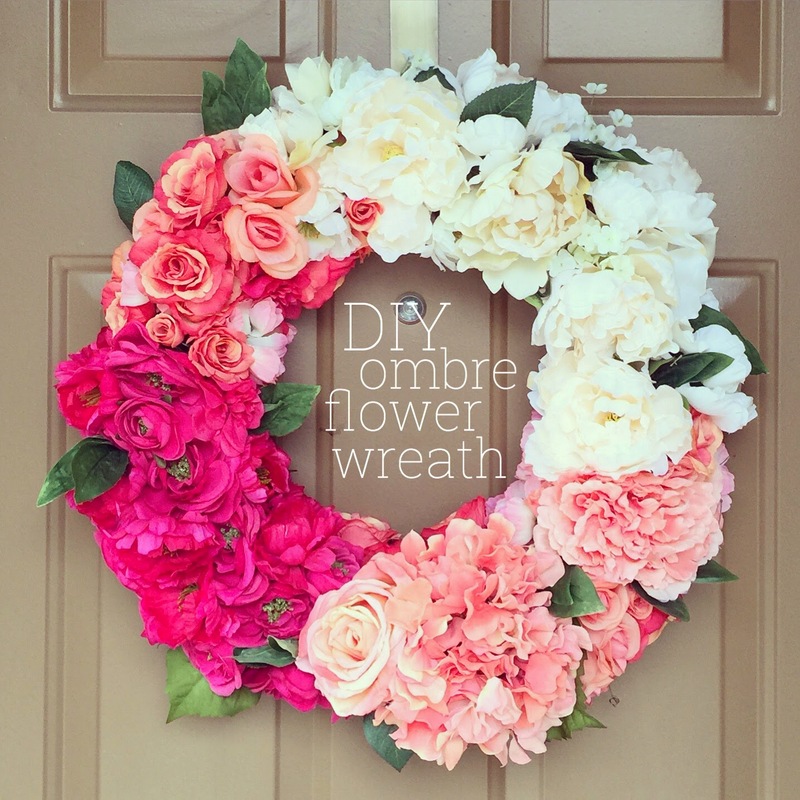 And yes, I do the same and tend to keep my winter wreath up way too long, too. Beautiful I love it!! :-) Hope that you had a nice weekend too! 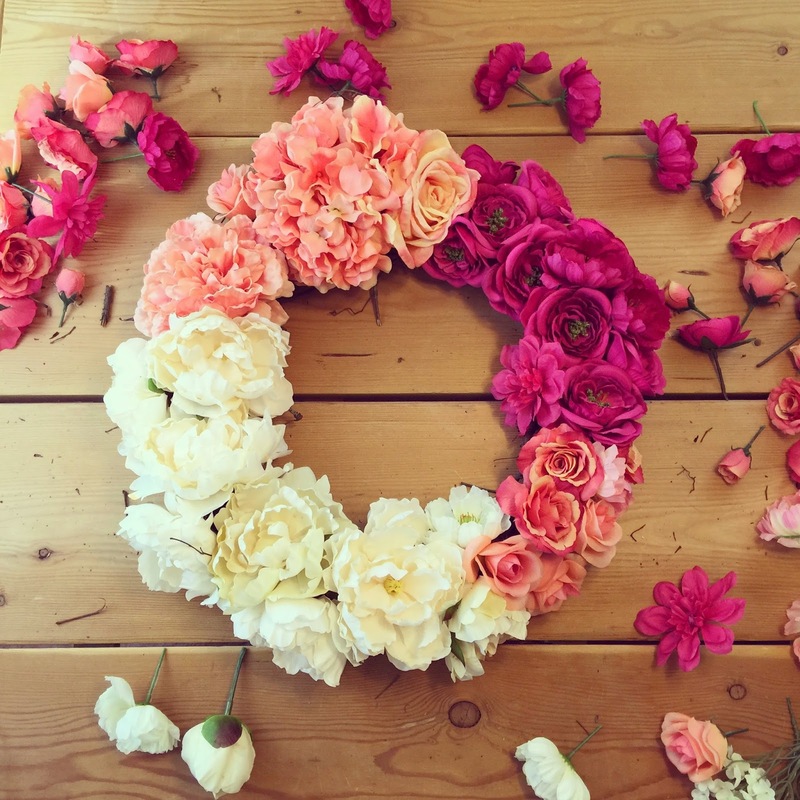 That wreath is just TOO cute. I love the color palette you selected, and yay for such an awesome Michael's deal! This is sooo pretty! 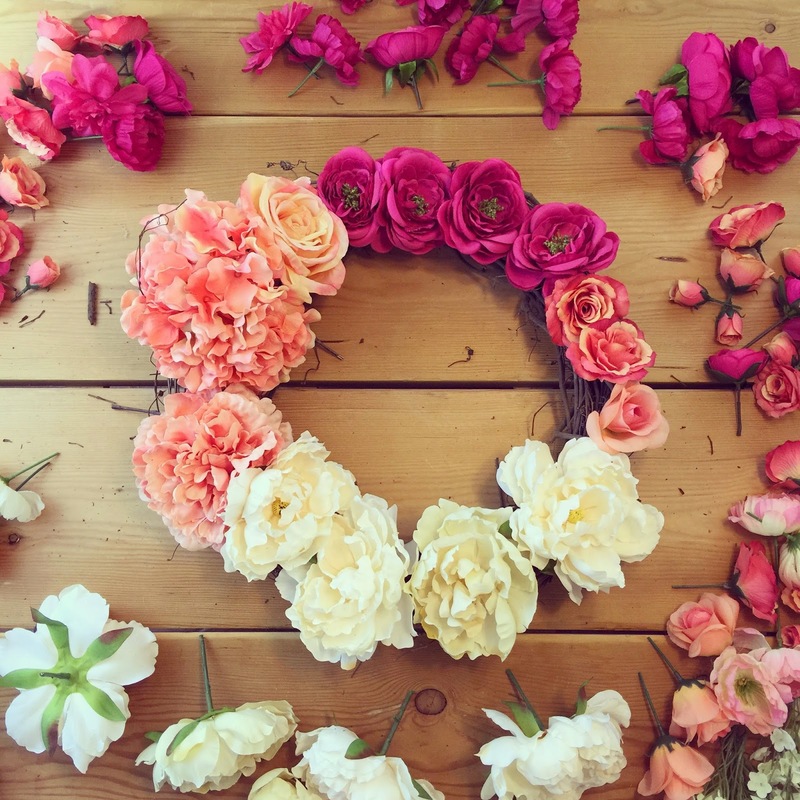 I love the colors and flowers you chose- it looks like something you bought already put together! So beautiful!!! I want to try making this! I love how full it is! This is gorgeous! I need you to come DIY my home! I'm impressed! That is so beautiful! That is so bright and cheery love this girl! Gorgeous! You are so crafty! 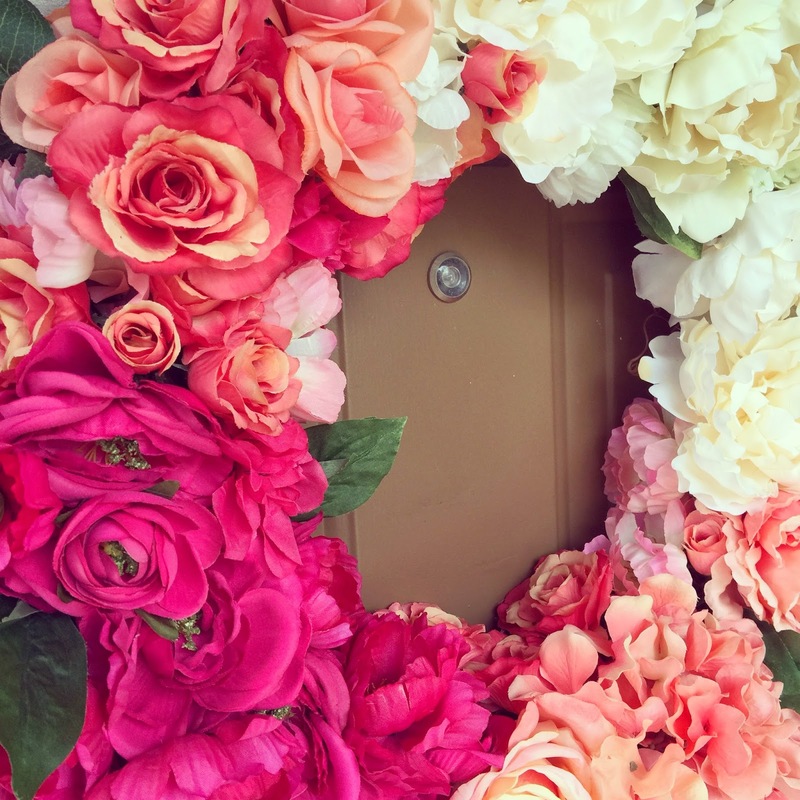 I adore this D.I.Y project! It's the perfect way to celebrate the arrival of spring. This turned out so cute! 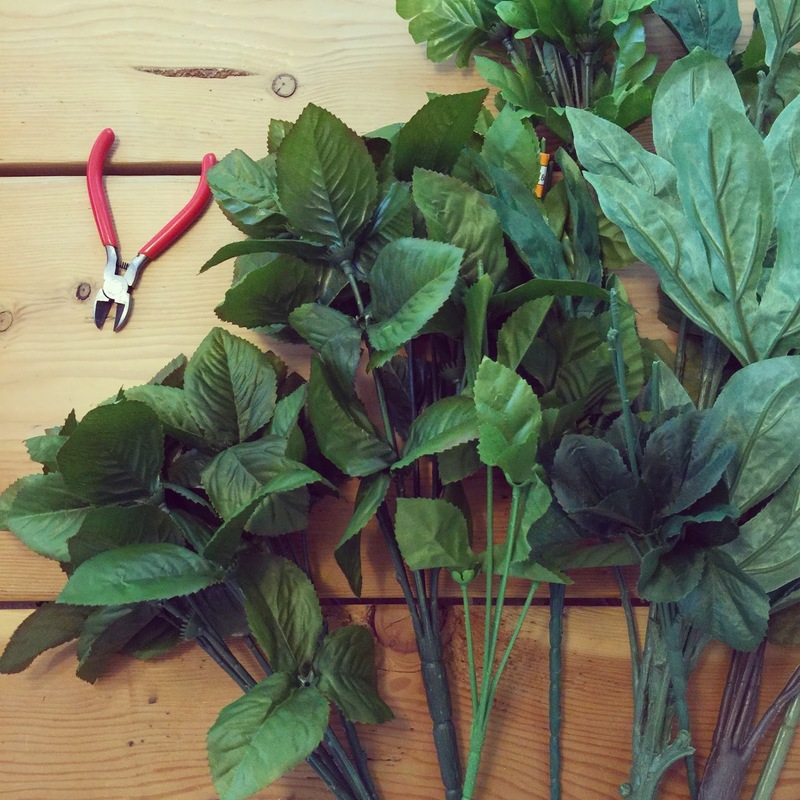 I have been buying a ton of fake flowers in preparation for my daughters first birthday (floral theme of course!) Man do they add up quick! I love the flowers you chose! 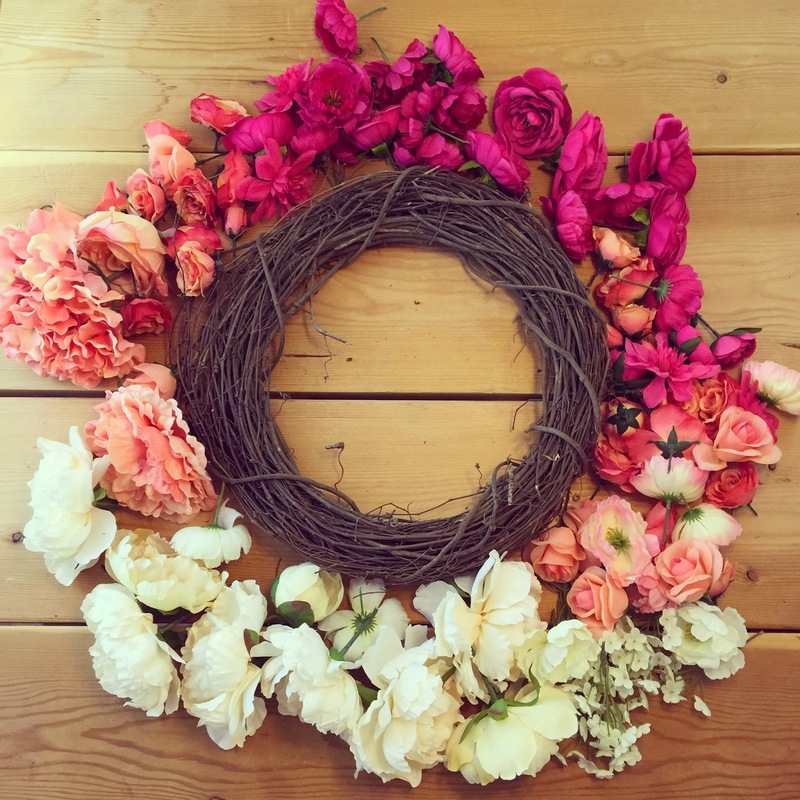 DIY wreaths are the best. Yours turned out great! How adorable! Love this idea! It is gorgeous!!! Pinned. I like the idea for fall for certain. 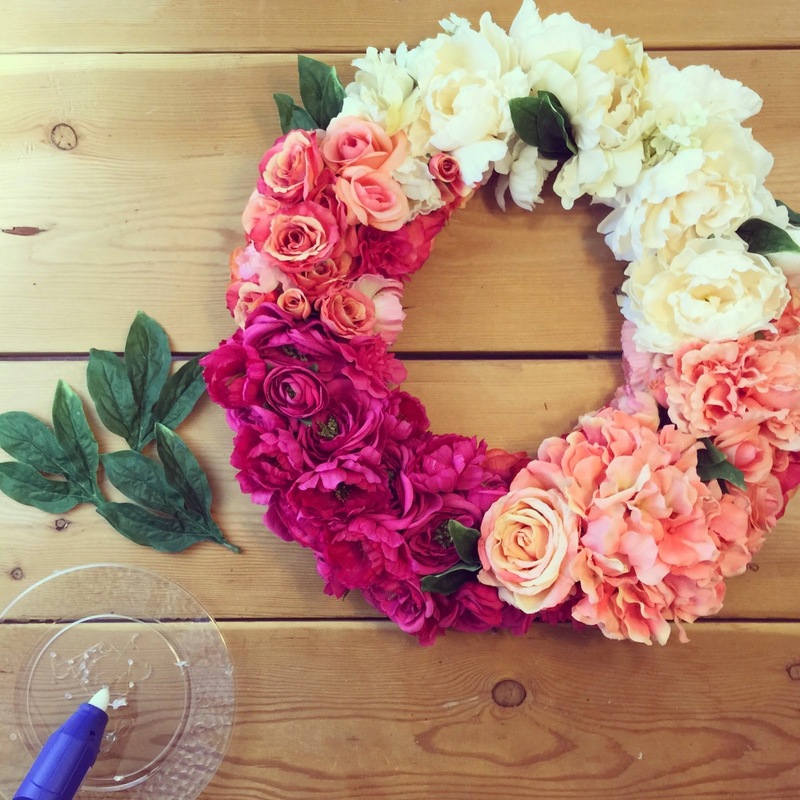 I love wreaths and never make time to diy any. Love this, so beautiful! 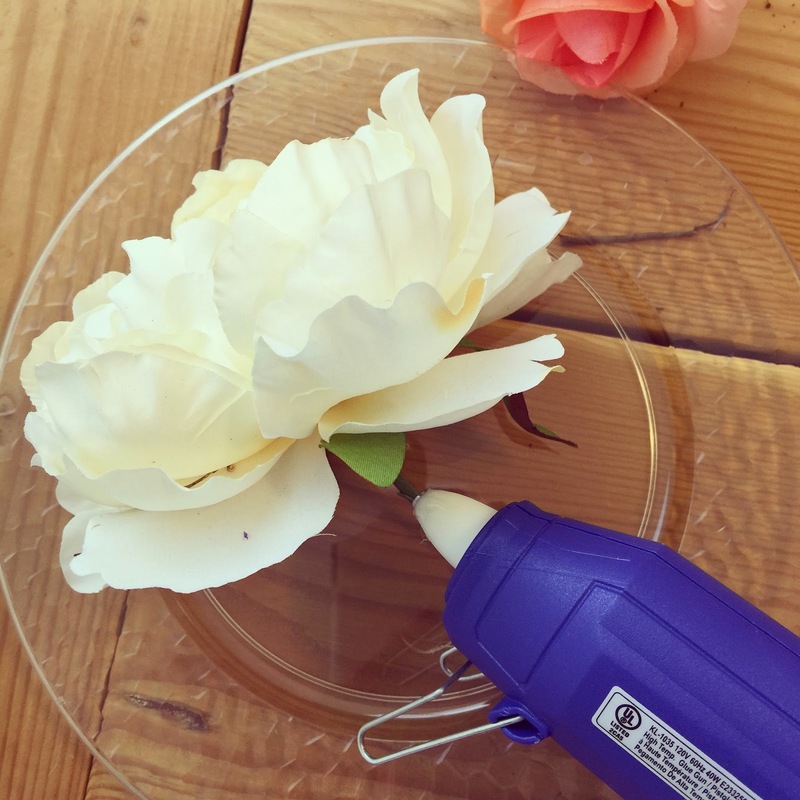 The ombre effect is perfect, and yes glue guns are seriously amazing! Lisa, I swear you are the DIY queen. 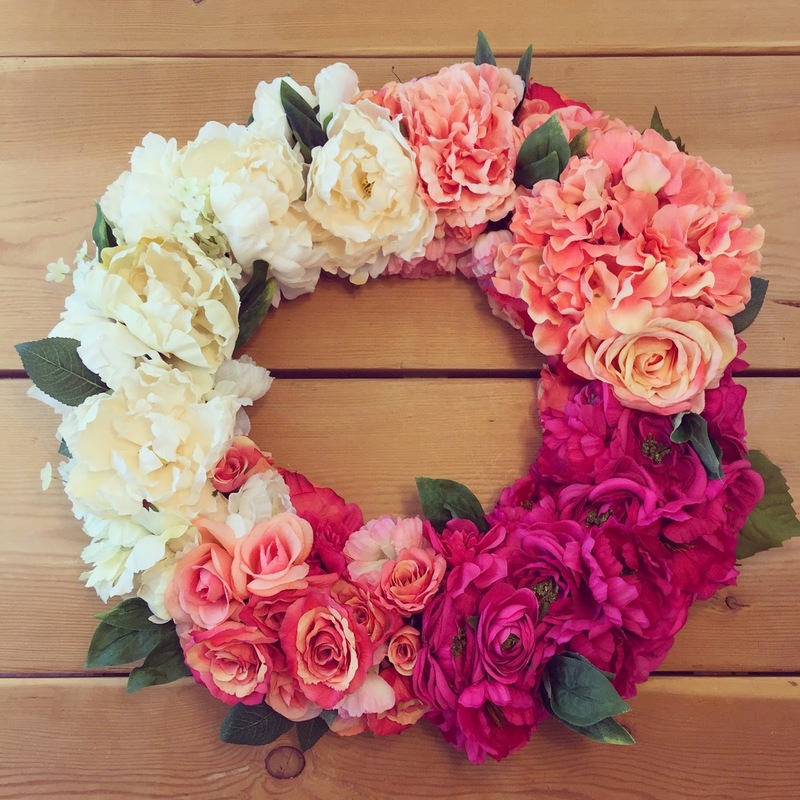 I love how this wreath turned out. 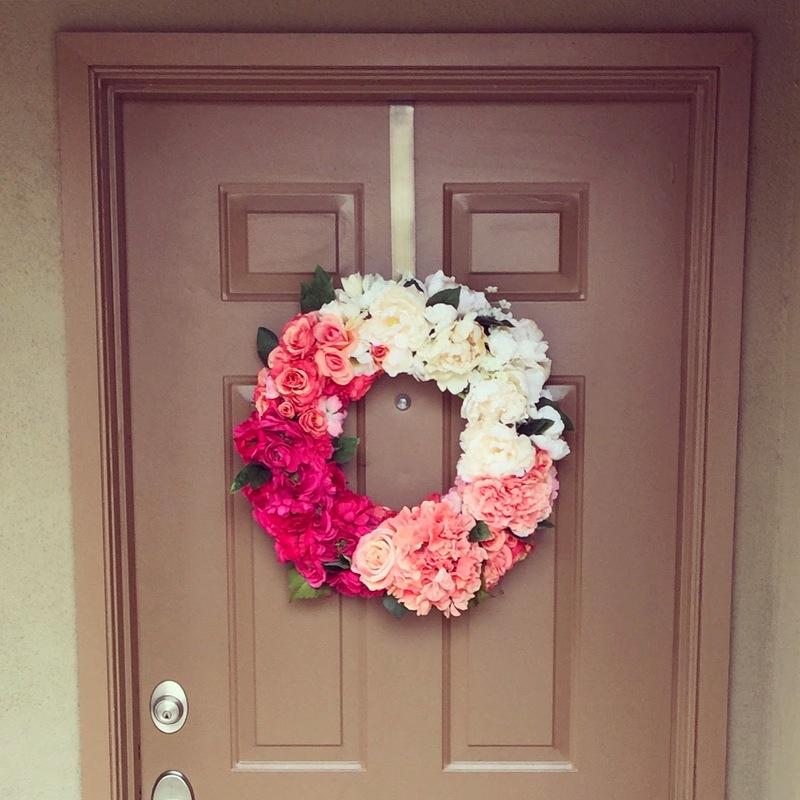 After moving to SC I definitely want to spruce up the outside of our house a bit, and a wreath seems like a the perfect way. I think $35 can be reasonable if you use it for multiple seasons or pull it back out next year again. And yes! to the glue gun..such a handy little thing. LOVE this! It turned out great! Perfect for Spring in to Summer. I love this! Turned out great! 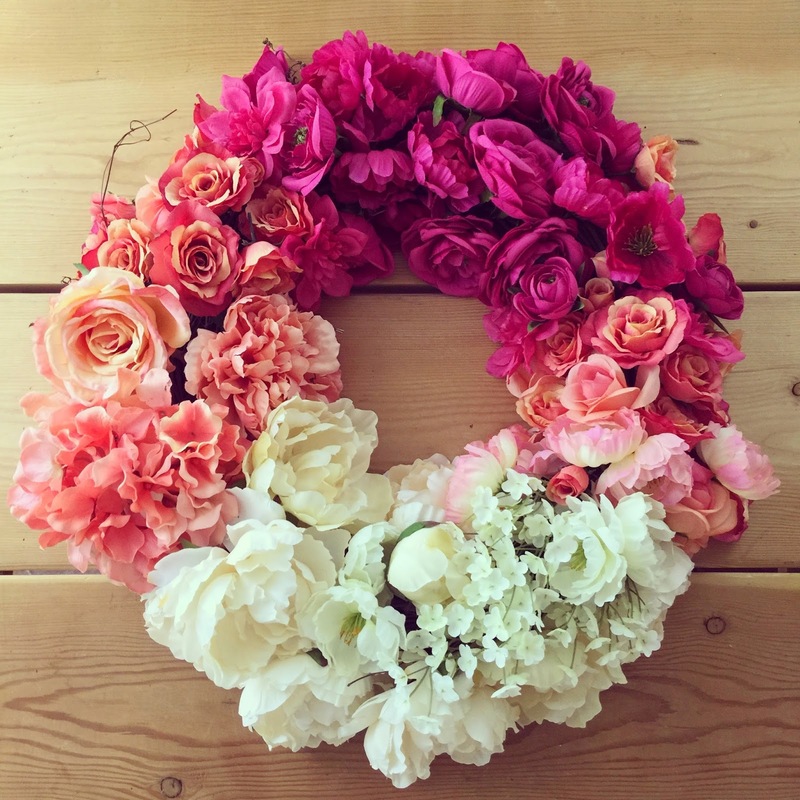 I just made four of these for my daughter's upcoming wedding! We are using them on the doors of the church. They turned out gorgeous! Thank you for the tutorial!